Todd Herzog appeared on the “Dr. Phil” show in 2013. LOS ANGELES — He had won “Survivor,” the reality TV test of grit and strength. But Todd Herzog was so drunk when he appeared on the “Dr. 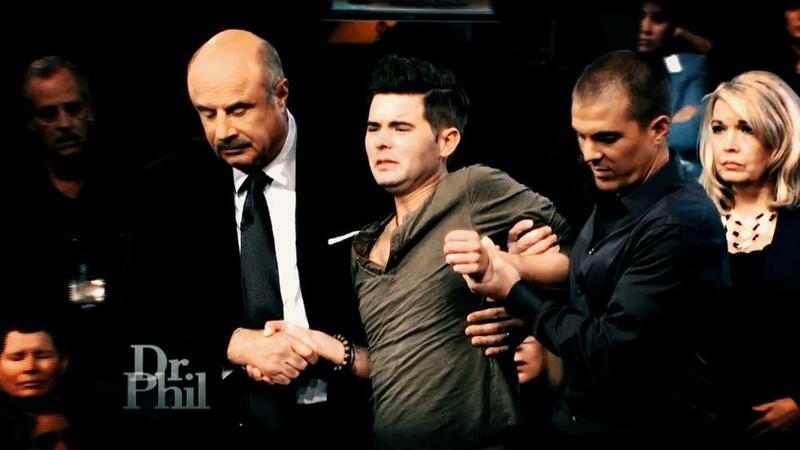 Phil” show in 2013 to get help for his alcoholism that he had to be carried onto the set and lifted into a chair. America’s best-known television doctor presents himself as a crusader for recovery who rescues people from their addictions — and even death. But in its pursuit of ratings, the “Dr. Phil” show has put at risk the health of some of those guests it purports to help, according to people who have been on the show and addiction experts. 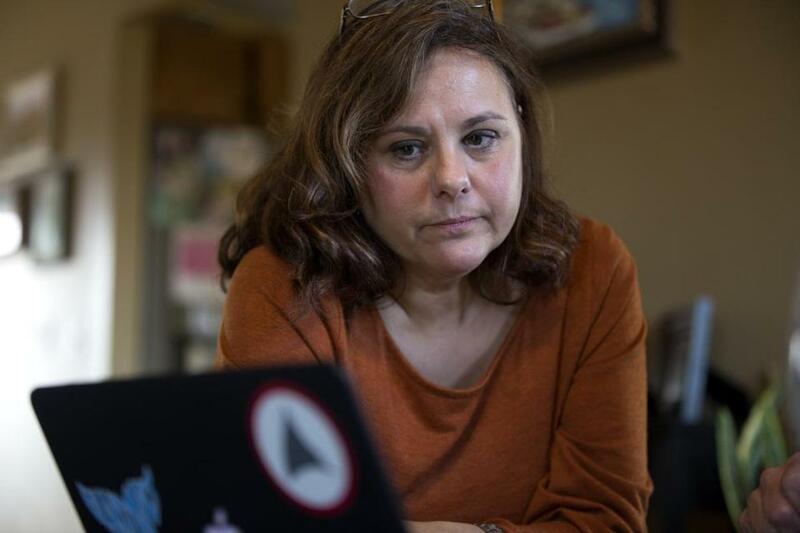 Guests have been left without medical help as they faced withdrawal from drugs, a STAT/Boston Globe investigation has found, and one person said she was directed by a show staff member to an open-air drug market to find heroin for her detoxing niece. While McGraw, who has a Ph.D. in psychology, has been buffeted by controversy and lawsuits since he broke out as a celebrity on “The Oprah Winfrey Show” two decades ago, the nationally syndicated show’s handling of guests seeking treatment for substance abuse disorders has largely escaped scrutiny. Todd Herzog in Salt Lake City, Utah. Guests wait up to 48 hours in hotel rooms before their scheduled taping, with the show sometimes filming pre-interviews during that time. As guests wait, they confront a painful and potentially dangerous detox, leading some to look for illegal drugs. One guest bought heroin with the knowledge and support of show staff, according to a family member. Another guest, who was pregnant, was filmed by a show staffer as she searched for a dealer on Skid Row in LA. The “Dr. Phil” show said staff members have no right to “detain” guests or direct or restrict their behavior, and may not even know the guests are in danger of withdrawal or overdose. The show’s addiction segments aren’t just compelling TV and good for driving huge ratings: They also serve to boost related businesses. Treatment center operators have been offered valuable endorsements in exchange for buying a new virtual reality product that features “Dr. Phil” offering tips and coping skills to people in treatment. Centers that buy “Dr. Phil’s Path to Recovery,” priced at $3,500 to $7,000 a month, have been promoted on the “Dr. Phil” show as well as on a second program called “The Doctors” that is owned by the production company founded by McGraw and his son, Jay. 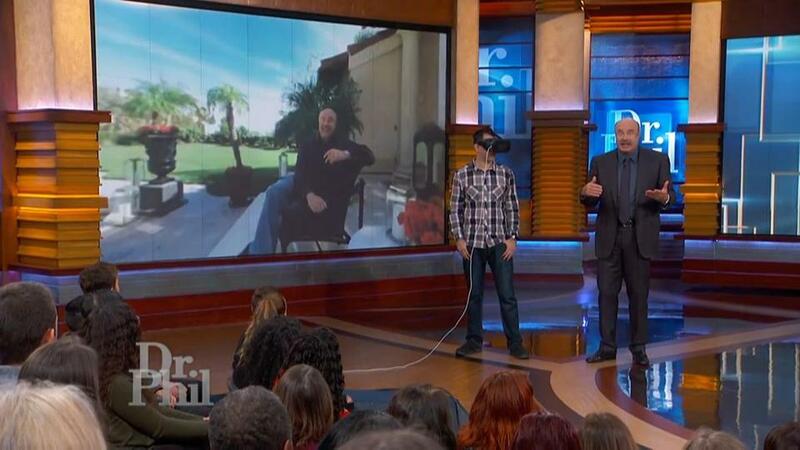 "Dr. Phil" host Phillip McGraw demonstrated the “Path to Recovery” virtual reality product on his show. The show said, through Greenberg, that Origins is one of many treatment centers used as a resource and that the show doesn’t consider Lawlis’s role with Origins a conflict of interest. Greenberg said “no money changes hands” between the show and Origins. 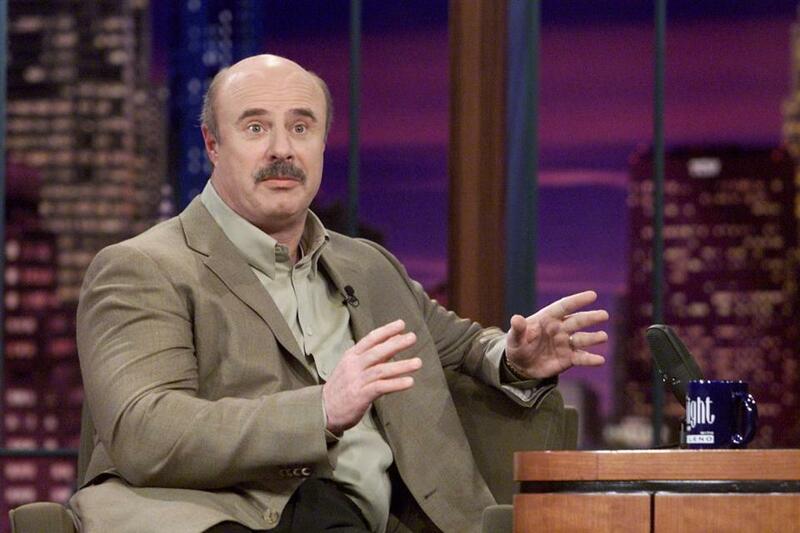 Dr. Phil McGraw on "The Tonight Show with Jay Leno" in 2002. The show has also made him wealthy: McGraw, according to Forbes, is the nation’s highest-paid daytime TV personality, earning $79 million last year. McGraw holds a doctorate from the University of North Texas, but has not been a licensed psychologist since 2006, when he let his Texas license expire. He became “Dr. Phil” after he worked with Oprah as a consultant after she was unsuccessfully sued by cattle ranchers in Texas for bad-mouthing the beef industry. He started appearing on her show, and then, in 2002, launched his own. While addiction is a frequent theme, it is one of many topics addressed by the program. His show has been the subject of unsuccessful lawsuits by guests, and his forays into the lives of troubled celebrities such as Britney Spears (he offered public comment about her after visiting her in the hospital) and Shelley Duvall (whom he had on the show) have sparked outcries because of concerns they were exploited. McGraw denied the allegations. Rothman’s attorney said the case was settled and dismissed in September. A representative of McGraw said Rothman was a “disgruntled” employee, and noted that McGraw’s production company is currently suing her in federal court. Rothman’s attorney, however, said she was a hard-working and longtime employee who is “vigorously defending herself” in the federal case. Herzog’s hands were shaking, and he said he was afraid he was going to die. One of the interventionists explained that Dr. Phil wanted to meet with him. Herzog was a 22-year-old flight attendant when he won “Survivor” — and its $1 million prize. But his life spiraled downward after that, and he said his alcoholism intensified while he was dating someone who was a heavy drinker. After the show flew him to LA and put him up in a hotel, Herzog said, he detoxed in his room over about two days. In a recent interview in Salt Lake City, he said he was sober when he walked into his dressing room on the set, and intoxicated on vodka and Xanax when he emerged. Herzog’s father, Glen, confirmed in an interview that his son was sober when he arrived at the studio to tape the show. “Today, I had an entire bottle, like a liter, of vodka,” Todd Herzog told McGraw on stage. When Dr. Phil breathalyzed him in front of the studio audience, Herzog blew a 0.263 — more than three times the legal limit to drive. The show, through Greenberg and a lawyer, offered a series of shifting explanations over two weeks regarding the medical oversight of guests when they go out to LA. Herzog, the response said, was “medically supervised the entire time he was involved with tapings of ‘Dr. Phil.’ ” The supervision, according to the show, included a nurse practitioner flying with him to LA, a nurse sitting up with him during the night, and a medical professional from a treatment center who “happened to be in LA at the time.” The show declined to name any medical personnel. Marianne Smith’s niece, Jordan, appeared on the show in 2012, in an episode called “Young, Reckless, and Enabled.” Smith said she contacted the show to help her niece break her heroin addiction. Smith said that when she, Jordan, and Jordan’s mother arrived in Los Angeles from Florida, Jordan began going through withdrawal. Smith said she and Jordan’s mother were concerned for her well-being, and told a show producer she needed heroin. One reason Smith said she and her sister were so panicked about Jordan’s situation is she had gotten no medical assistance while in LA. “We never had anyone,” she said. “It was just the three of us girls the entire time.” She said the three were in LA for two nights before appearing on the show. Joelle King-Parrish brought her 28-year-old daughter, Kaitlin, from Lansing, Mich., to the “Dr. Phil” show in October of last year for help with her heroin addiction. Kaitlin was six months pregnant, and King-Parrish said she assumed that when they touched down, there would be some kind of medical supervision — if Kaitlin went into withdrawal, it could endanger the life of her unborn baby. “That is incredibly deadly. You never know what you’re getting in a single dose,” said Boyle, adding that Kaitlin should have been under medical care the moment she landed in LA. 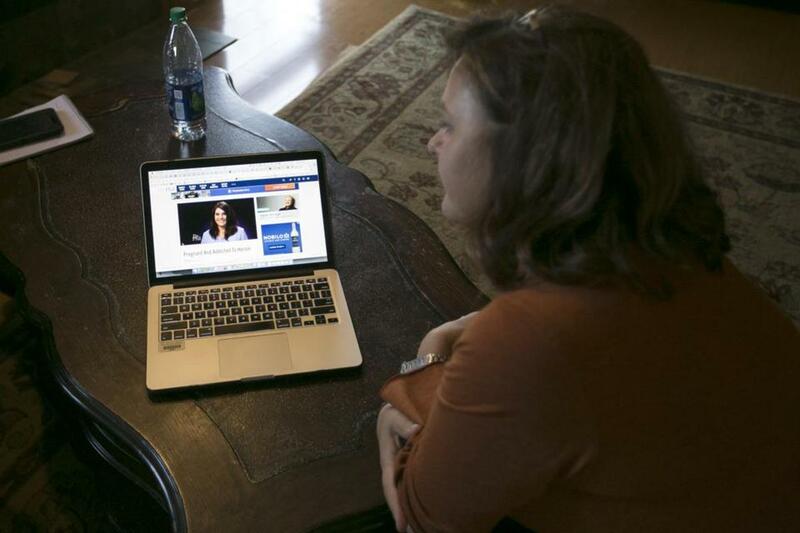 Joelle King-Parrish watched footage from her appearance on the “Dr. Phil” show in her home. “I know this time . . . I wanted help, I wanted to get sober, because I was dying,” the now-32-year-old Herzog said in an interview. This time, he said, he had a handler who supervised him closely before taping, giving him a shot of alcohol to hold off seizures, Herzog said. He has no memory of what happened on stage. Herzog said this week that he is now sober. 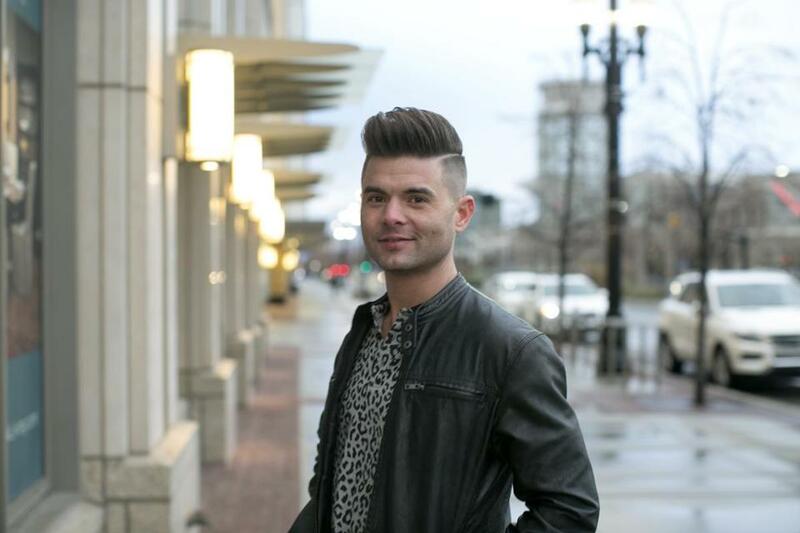 He works at a restaurant in Utah; he’s reconnected with friends and family; and he’s dating someone. Jordan, whose aunt said she was directed to Skid Row for heroin, also went to treatment after her appearance, but she didn’t get well, the aunt said. McGraw promised Kaitlin “the best help, in my opinion, in the United States,” and, on stage, guaranteed that she would be in treatment until her baby was born. Kaitlin left the treatment center against medical advice after 15 days. Her baby was born addicted in January, King-Parrish said, and went into foster care. The show had the family back, after King-Parrish wrote a letter saying she believed their appearance had been “for ratings and not help.” Kaitlin was sent to treatment a second time but kicked out for noncompliance, King-Parrish said. Evan Allen can be reached at evan.allen@globe.com. Follow her on Twitter @evanmallen. David Armstrong can be reached at david.armstrong @statnews.com.